Hiya guys! Thank you for all the birthday wishes. I had a great time with the family yesterday and got lots of goodies (including polish!). 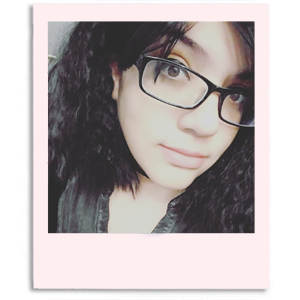 It was the first day in weeks where I felt little to no anxiety and that was amazing. Now today I'll be sharing a review for a Sea Salt Scrub from Lucky 13 Luxuries. I haven't done too many reviews in the past for nail care products so this was definitely a very nice change of pace. As I always like to say, your nails will only be as good as the way you treat them! 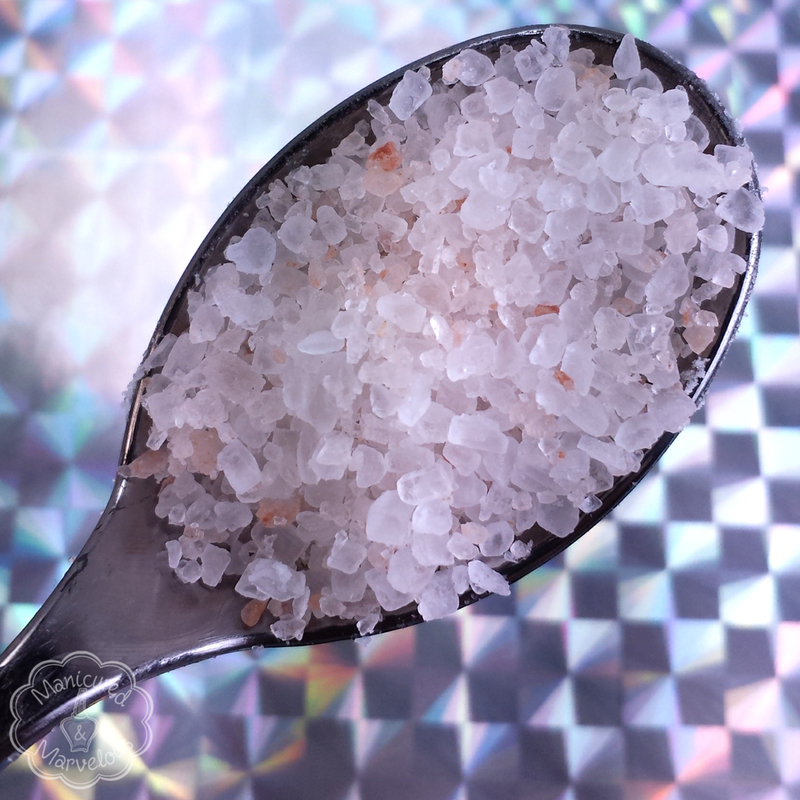 The sea salt scrub from Lucky 13 Luxuries retails for $4.00 for a 4 oz jar. There is also a sample size available to purchase for only $1.00. The sample size is ideal if you want to try it out on a smaller scale before committing! Normally when you think salt scrub there is the assumption that the texture will be coarser as opposed to that of a sugar scrub. For the most part that is an accurate description, so you tend to not want to use it for softer areas of skin. 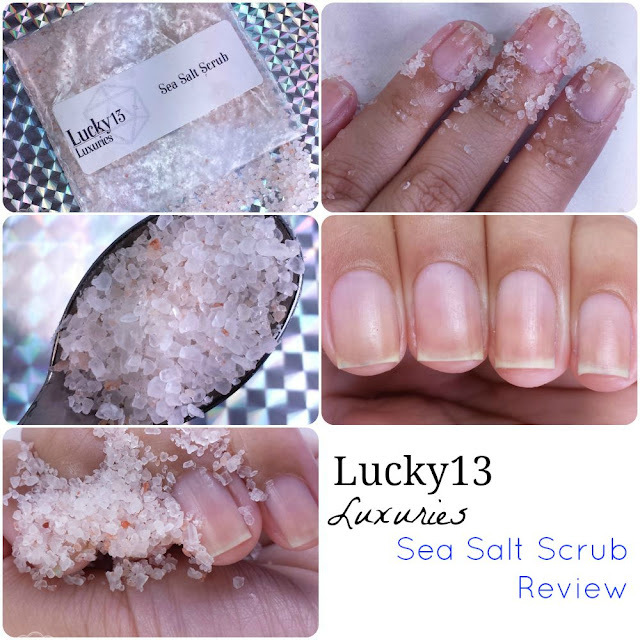 All that in mind, this salt scrub from Lucky 13 Luxuries felt very soft in comparison to the standard. It felt so amazing! And this is coming from someone with particularly soft fragile skin. 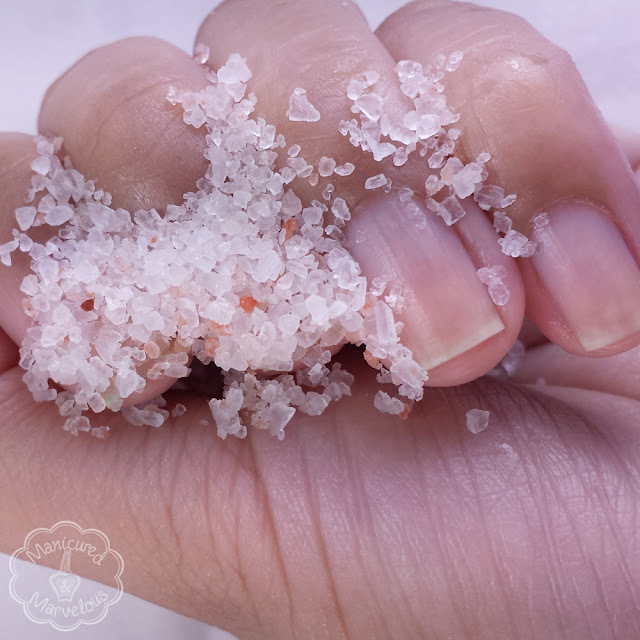 This salt scrub exfoliates and hydrates your hands and cuticles thoroughly. To really give you guys a feel for the product I decided to use it after a heavy swatch-a-thon. This means I spent about five to six hours straight swatching polish before using this scrub. Internet, I can feel all that judgement coming in strong haha. Typically my hands and cuticles feel rough and it's a noticeable kind of rough too, like my cuticles are on fire. Not a great sensation to take to bed with you. To use simply wash your hands and while they are still wet, scoop one teaspoon onto your cuticles and hands. 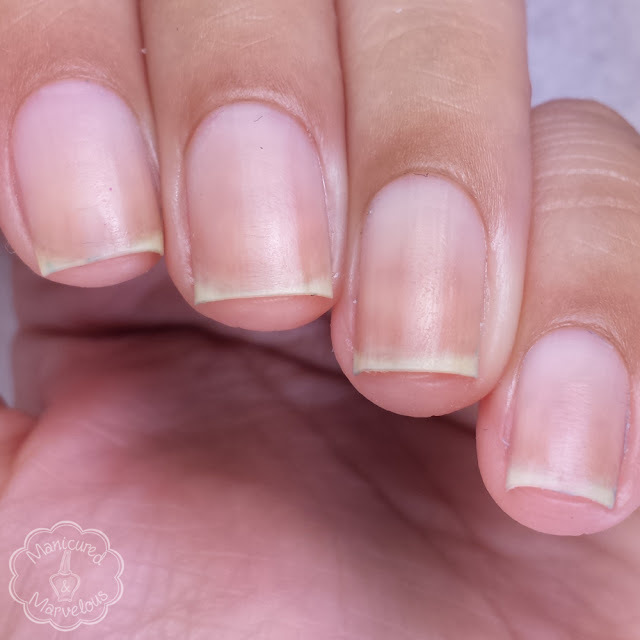 As I mentioned before, you normally wouldn't want to scrub against your cuticles and nail beds because of the rough texture. Personally I did not find this to be rough at all. It was so soft and pleasant that I ended up scrubbing my entire hand, cuticles included. Rub for about five minutes then simply wipe your hands to get rid of any excess scrub that may be left over. It's very important that you don't wash your hands because otherwise you will be washing away all the oils. 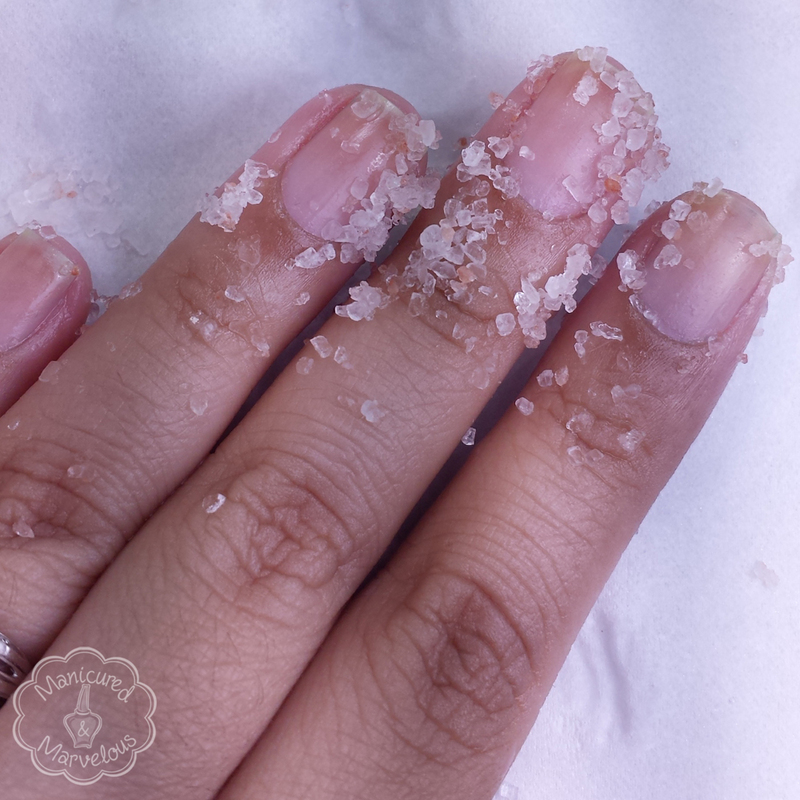 My hands and cuticles felt absolutely amazing after five simple minutes rubbing in the salt scrub. 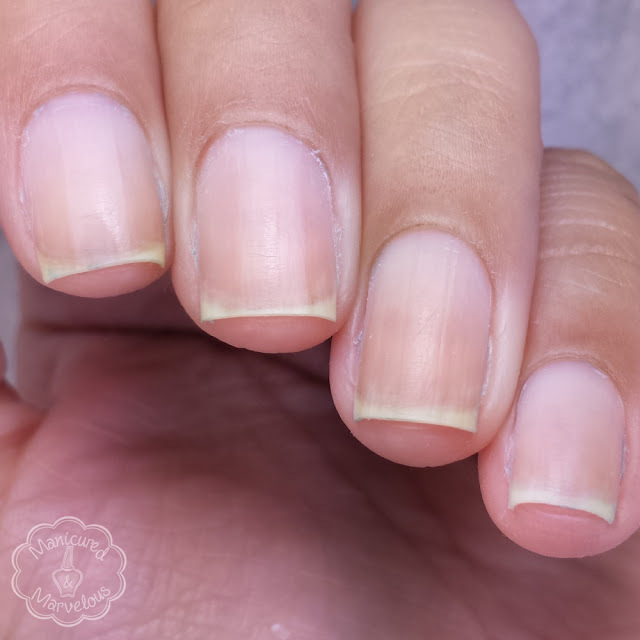 I didn't even need to lather in cuticle oil like I normally would afterwards. Super moisturized. The difference is noticeable both visually and in feeling. Of course, you're probably wondering about the scent. The smell throughout the rubbing is very faint kind of light berry scented so it doesn't overwhelm the senses. After you have finished rubbing, the scent left behind on your hands is extremely subtle. It's not something you can smell across the room, but hold your hands close to your face and you will get the whiff of berries. I love this so much. Usually after my swatching I go straight to bed so having some super strong smelling on my hands is not ideal for me. 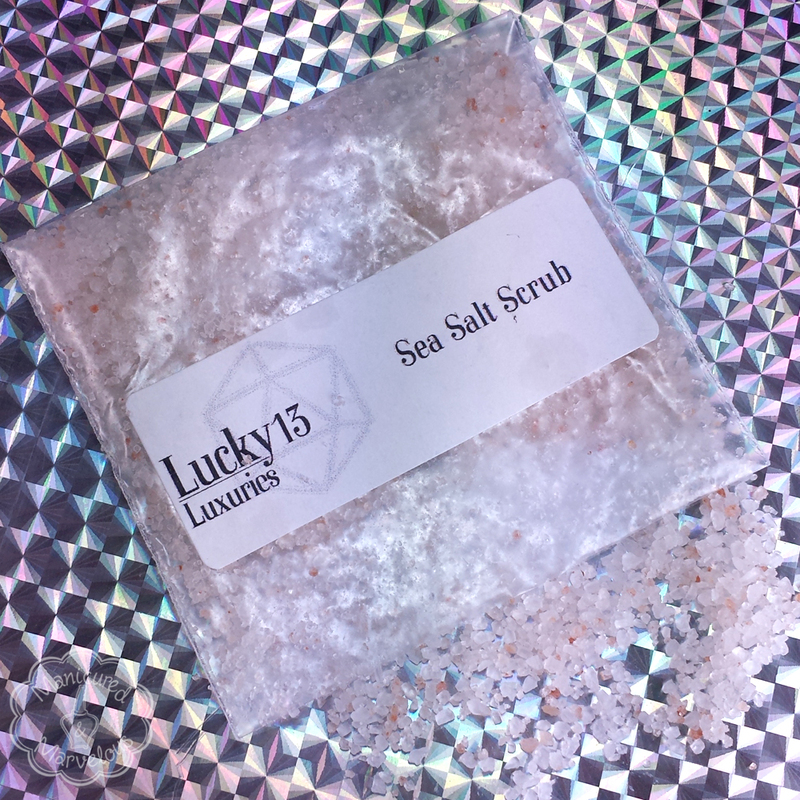 Overall I definitely want to recommend the Sea Salt Scrub from Lucky 13 Luxuries to you guys. 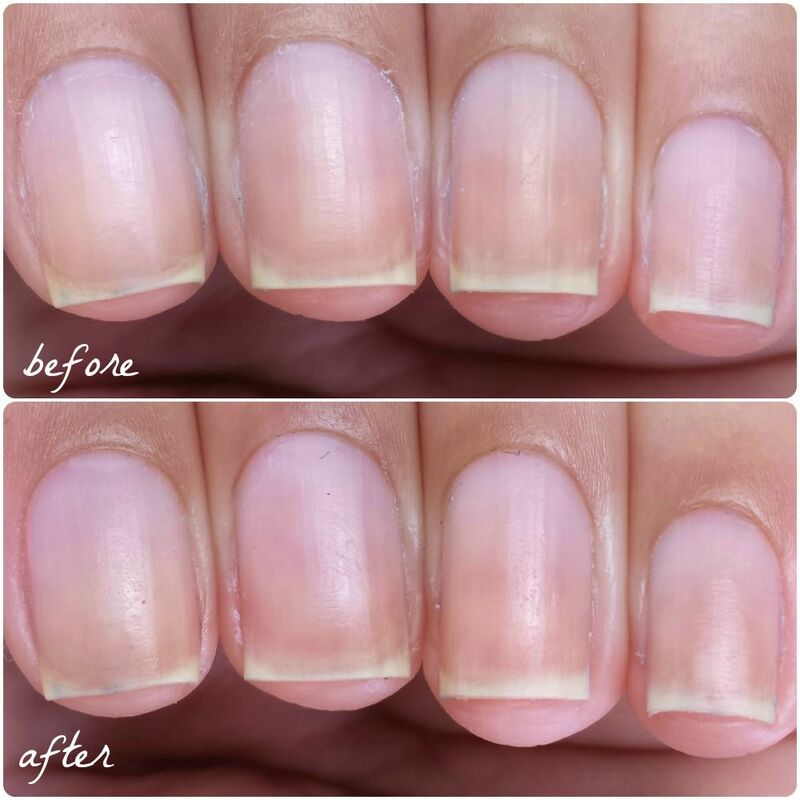 Especially for those of you that may be looking to change up or improve your nail care routine. It is recommended that you only use this once a day for best results. As I mentioned before, I swatch before bed so using this to seal off my night is perfect. I wake up the next morning still with the sweet berry scent on my hands and they feel super soft and moisturized. I'll without a doubt be getting more of this for myself come next payday. How do you guys feel about salt scrubs? Will you be trying out this Sea Salt Scrub from Lucky 13 Luxuries? You can definitely see an improvement! I need to pick some of this up to use after filing day at work. I hate filing because it's so rough on my nails and hands! I have a feeling this scrub is exactly what my hands need!! Very cool! I have yet to try a salt scrub. Maybe I need too. This was my first time trying any of their products so I'm definitely impressed. I love a good salt scrub. I love that you can try these out in mini packs. Perfect for hands! 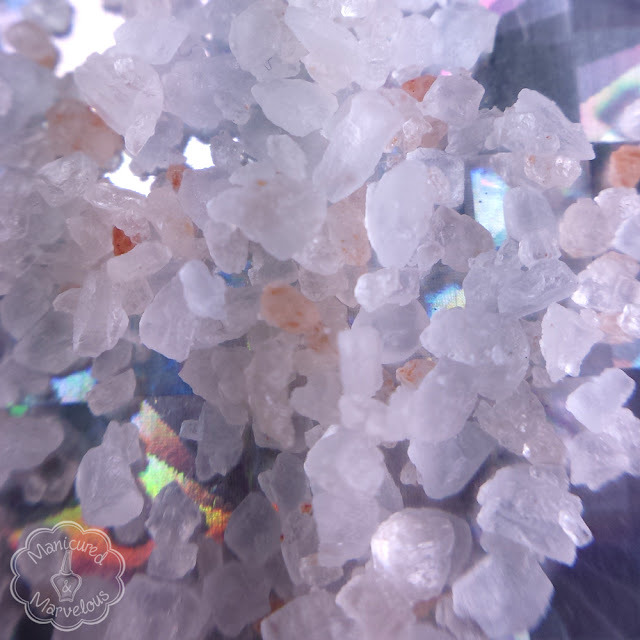 I've never tried a salt srub before but seeing your results really makes me want to try one! You should! It's perfect for before sitting down to do a mani. Nice review! I love scrubs, this one sounds nice.